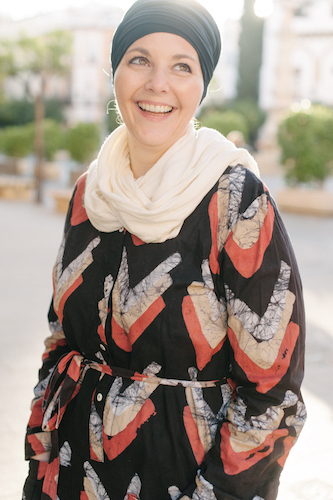 When we moved to Morocco, the items we chose to take along were few and far between. I decided to only take the things that I wouldn’t be sad to leave behind as we had intentions of staying one year and returning. Without the luxury of having our shipping costs covered by a company (many expats who relocate for work are given a shipping allowance), we were on our own. Needless to say things were bare the first year. I didn’t decorate and we bought only the bare minimum when it came to furniture and furnishings. When we decided that we’d stay another year it was time to start making the house more like a home. Slowly I began to decorate and make the space ours. Over the years I learned a few things that really helped me make the space feel better. 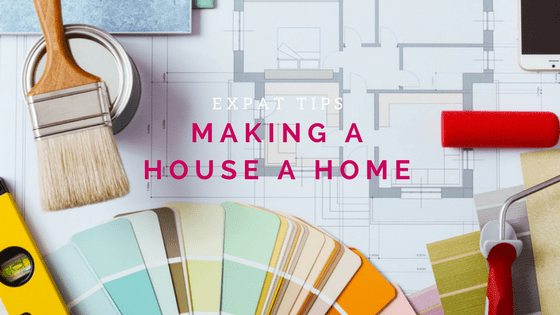 If you’re planning to become an expat, already are one, or simply just curious here are some of the things I’ve discovered along the way. The fewer “things” you have the easier it is to not only move but keep your home organized. When we moved and went through our things, narrowing down what we wanted to bring with, there really was only a small amount that I needed. When planning take a hard look at everything first. Consider bringing things that serve multiple purposes. Also consider what’s available where you’re going and how much space you’ll have when you arrive. In a new country, you’ll face different construction and building materials. We learned quickly that our concrete walls didn’t really take to nails being driven in. Without the ability to hang things on the wall, I instead went with wall decals. Today there are so many different types and designs available that even a very small one can add a little personalization to your home. Not all decals are my style. Some are poorly made or just look childish but I really like this one from Simply Impressions. We have this one in our boys room – it’s a really simple but nice decoration that just makes their room feel a bit more like home. I’d show you a picture of their room but anyone with teens knows their bedrooms are a disaster! There are dozens of other decals that can be purchased for everyone room but make sure you review the instructions from start to finish and make sure it will stick to the walls in your home. 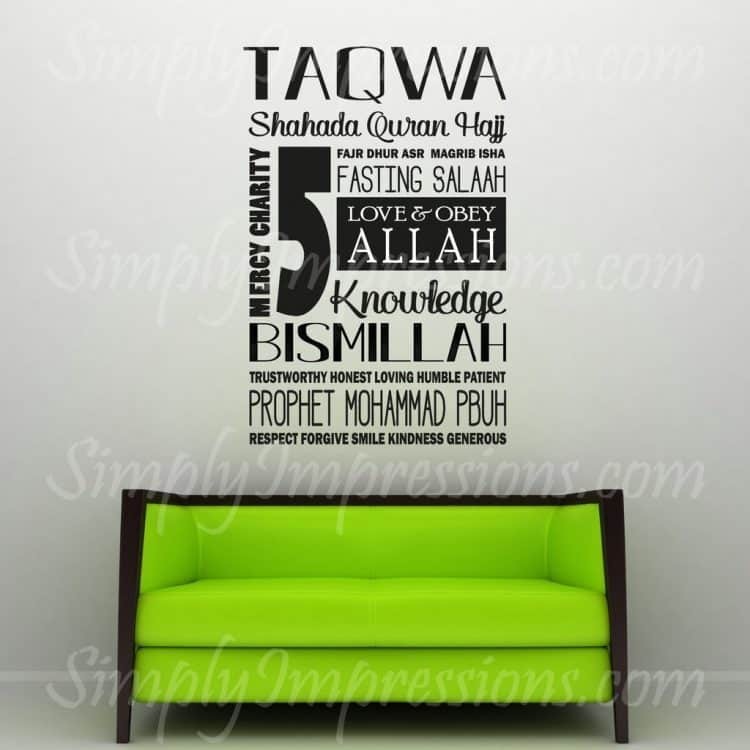 If your walls won’t allow it to adhere you can always put the decal over a large piece of posterboard or even cardboard and put inside a frame to hang. My first inclination was to purchase everything I wanted, even if it wasn’t the best quality. But, I learned the hard way this wasn’t a good plan. I ended up hating a lot of my early purchases and wondering why I had done it instead of just waiting and getting the right things. So my new motto became make do until you can make things right. Depending on where you’re living you may discover it’s much more affordable to have things custom made. This was our case. One of the rooms I really wanted to make more like home was my kitchen. Instead of trying to find something local to fit my needs, we hired a carpenter to make kitchen cupboards exactly how I wanted. It wasn’t possible to find cupboards like I was used to so this was the best solution and not nearly as pricy as we expected. We also spent a bit more money purchasing a refrigerator and range (stove + oven) in a larger size than is often sold. These are really small things but they made my kitchen feel much more comfortable and it was worth waiting to get a better quality. 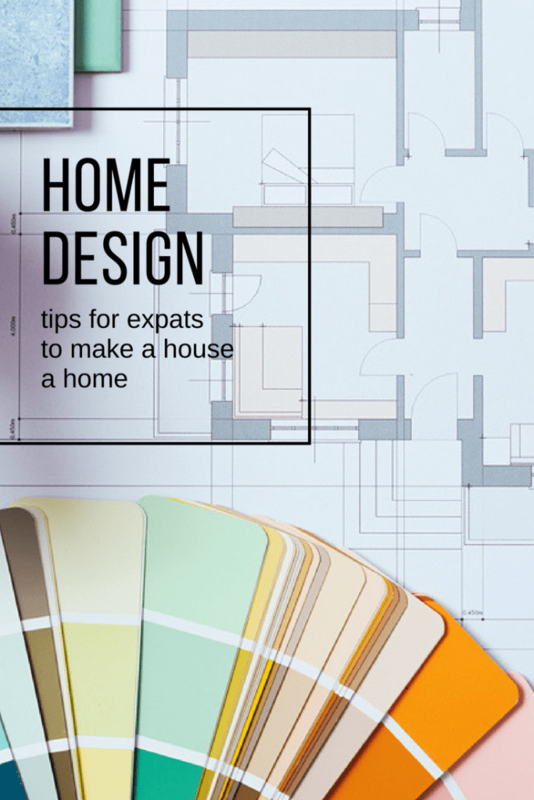 Decorating a home in another country isn’t easy and if your intention is to make it look exactly like what you’ve left behind it will be a challenge. While I would have loved to put in living room furniture like we had in the US it wasn’t cost effective and would have been very difficult to even make fit in rooms that are a completely different shape. 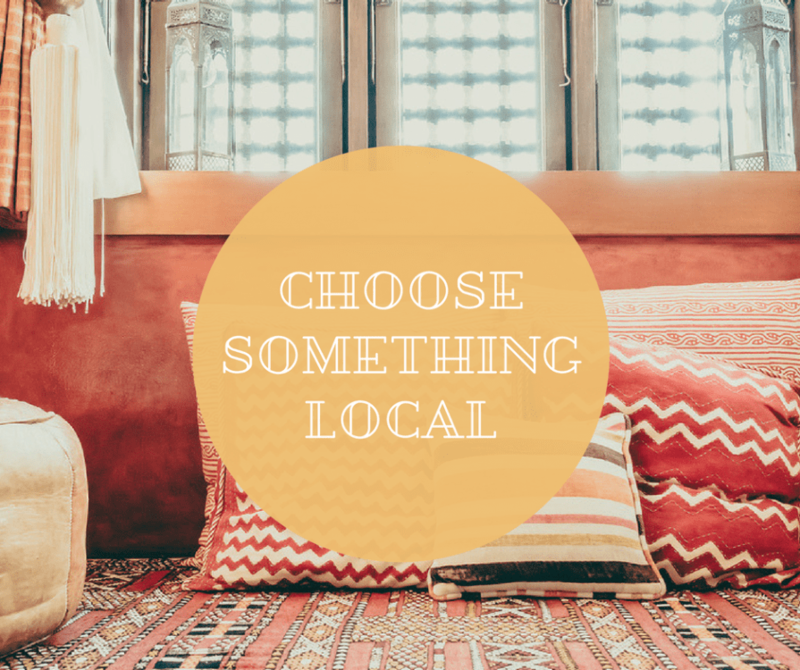 I wasn’t keen to go completely local but I did work local styles, designs, and furniture into our home, along with the things I was used to and wanted to have. Every year I get homesick in the fall; I miss the changing leaves and the forests from home. As a gift a friend of mine gave me a framed picture of a fall leaf, pinecone and other items from the forest. It’s one of my very favorite decorations because it is so simple and yet brings a piece of my home to Morocco. I think that it’s really important to have a piece or two like this for those hard days that will happen. Even though your inclination may be not to spend time or energy decorating what may be a temporary home, it really helps to make it feel more comfortable and feel the way you want it to! Do you have any other great decorating hacks to share?